With spectacular mountain landscapes, quaint villages and sandy beaches, Snowdonia is a perfect holiday destination for all ages. There is a range of holiday accommodation available through out the National Park. Snowdonia National park is located in the North of Wales. It is an area of beautiful, unspoilt mountainous landscape. 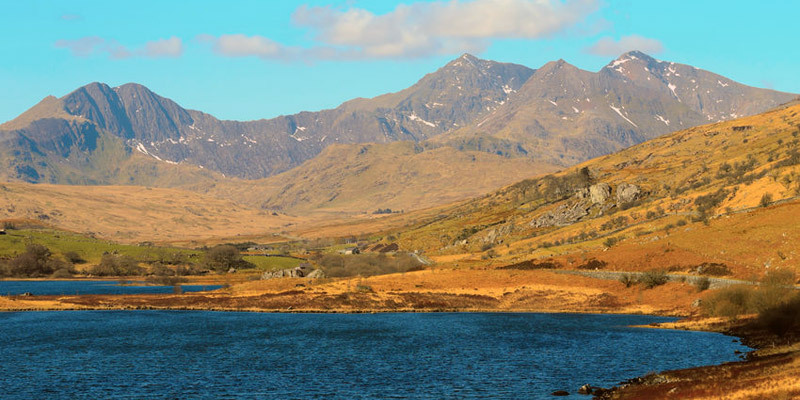 There are many mountains within this area but the biggest is Snowdon which is the most popular with tourists as it has the Snowdon mountain railway. It is a tourist railway that travels for 4.7 miles (7.6 km) from Llanberis to the summit of Snowdon. Within the park you can get a real sense of the history of the area through Stone Age burial chambers, Roman forts, churches and castles. The park is ideal for mountain climbers and walkers as there are nine mountain walks and twelve leisure walks in the national park. Looking for a holiday, short break in Snowdonia? There is a range of holiday accommodation available from budget B&B’s to self catering cottages.